Dr. Danny Jacobs and his astounding team of undergraduate students (Ben Stinnett, Jacob Burba, and Lauren Turner) and graduate student Abraham Neben (MIT), have arrived in Green Bank, West Virginia for a week of field work at the National Radio Astronomy Observatory site. 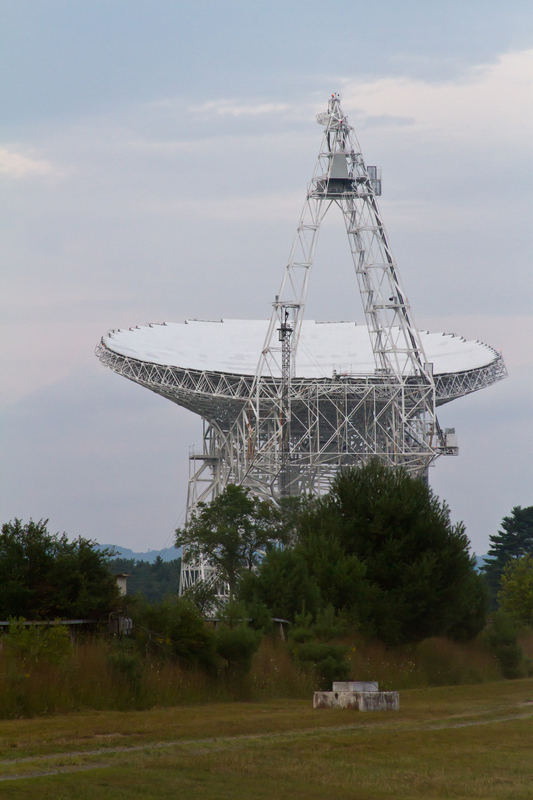 The highlight of the Green Bank site is the Green Bank Telescope, at 100m it is the world’s largest fully steerable dish and is used to hunt for pulsars and other exotic objects in deep space. However, this amazing telescope is not why the team is there; it is currently down for maintenance. At the NRAO Green Bank Site, the team is testing their instrument for eventual use on the Hydrogen Epoch of Reionization Array (HERA), which is currently under construction in South Africa. When finished, HERA will have 300 individual 14m dishes packed together to form one of the largest single collecting areas in the world. Understanding this array presents a unique calibration problem which the team hopes to solve with their UAVs. 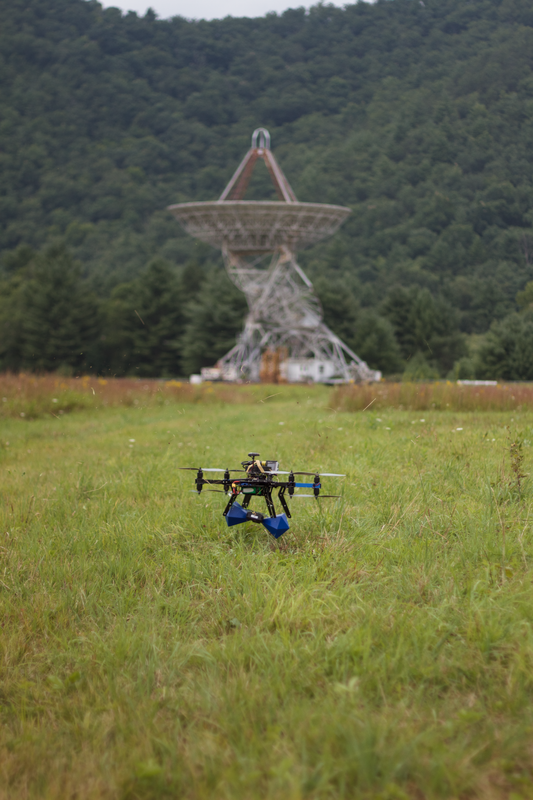 Spending their morning in the field to take advantage of the good weather, the team was able to make four successful flights over the HERA testbed, the data from which is currently being processed. Should the excellent flying weather continue, you can expect more flights throughout the week! The ECHO team hard at work!